With winter looming, the clocks already turned back and those increasingly-large invoices threatening to make an appearance in your business’s finance department, now’s the perfect time to evaluate practices and make savings at this notoriously expensive time of year. Our latest article runs through four business tips to help you cut costs, surviving the cold and dark of winter with a reduction in expenditure. Drawing on an efficient HVAC system as opposed to a traditional heating system is both more effective and more efficient in heating everything from retail units to office spaces. Not only will they provide a more even distribution of warmth, but they are much cheaper to run for longer periods of time. 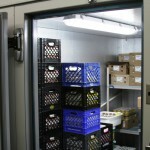 This is particularly important in larger buildings which may require around-the-clock heating. Were you aware that the average household in the United Kingdom pays more than twelve hundred pounds each year towards energy bills(1)? The same can be said for businesses but, due to the size of your building and the number of lights involved, you can expect the actual cost impact to be far more magnified. Much of this revolves around lighting during the darker months. One great way to counteract these massive figures is to use a motion-activated lighting system; any lights will automatically turn off when no one is in a room, and this is an especially effective tactic for areas such as car parks, stairways or service yards. There are reasons why solar power is considered to be on the top of home and business owner’s green “wish lists”(2). Solar panels can heat water, while solar PV technology can supply energy to your business and vastly reduce your annual heating and electricity bills. 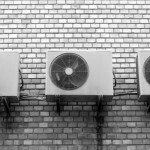 In fact, business buildings and homes alike can expect to save hundreds of pounds a year and thanks to the “Green Incentive” put forth by the government, these units are cheaper and more efficient than ever before. Check the periphery of your windows and doors for any draughts. This can be done professionally by a third party company, or by your building maintenance manager if you have one. Any weaknesses in insulation can result in HVAC systems, or any thermostat-driven heating system, having to work harder to achieve the same desired result – costing you much more in the process. As double-glazed windows provide an insulating layer of air between the panes of glass, they are excellent at reducing the amount of money that you will spend when heating during the winter. A secondary benefit is that they are also great at noise reduction – making your working environment much calmer, quieter and more controlled. Here at PAR Services, we know that efficiency of your heating systems are based closely around the effectiveness of your HVAC’s operations. We offer new installations as well as regular repair and maintenance work to ensure smooth running and effective heating – letting you reap the rewards of a more efficient business. Contact us today for more details on any of our repair, maintenance or installation services – our team are always happy to help.